When we speak of sci-fi and horror legends, we all can easily come up with names of actors, directors and writers. 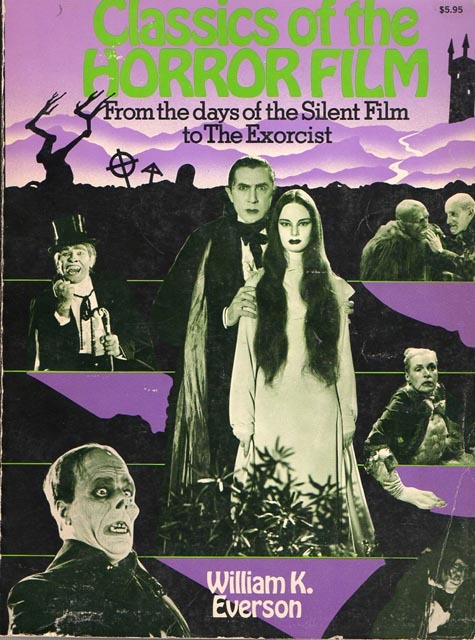 Special effects wizards quickly roll off the tongue and we all speak fondly of aficionados such as Forest J. Ackerman. But there are others out there who don’t quite get the recognition they deserve. I think it’s time we start looking outside of the normal list of names and begin to recognize those who contributed not only to horror but to the cinematic genre as a whole. What better place to start than with William K. Everson. 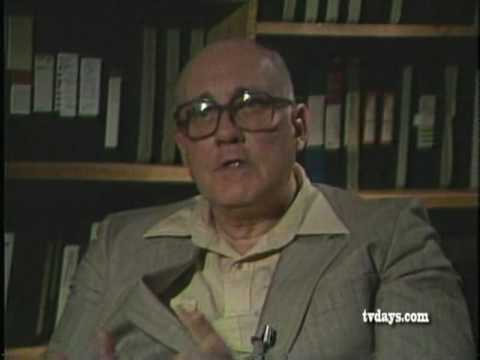 William K. Everson was a film historian responsible for bringing classic cinema to life for a generation of avid moviegoers long before the internet made both movies and information about them so readily available. Everson would teach film history at The School of Visual Arts from 1964 to 1984. He was also Professor of Cinema Studies at New York University from 1972 to 1996, not to mention an author and film collector. His books would become bibles for hungry minds and his personal film collection was one of the largest in the world. Yet, unlike many private collectors, he would share his films with others through a regular film series in New York City as well as others around the world. Everson was born in England in 1929 and would serve in the British Army before immigrating to the United States in 1950 at the age of 21. Through working at Monogram Pictures and on the TV series Movie Museum and Silents Please, he began collecting film. In fact, his collection consisted of many films that were to be destroyed. This was a time long before film preservation became mainstream. Everson was a visionary for saving these films for future generations. Everson would become a founding member of the Theodore Huff Film Society. It was there that he would display his vast knowledge through written programs, sharing his research with other cinephiles eager for knowledge. Students of film would relish in double features during class or presentations at the New School for Social Research. Remember, these were the days long before home media and opportunities to see these films were rare. In the 60s through the 80s, he was an influential figure and inspiration to fellow film historians such as Kevin Brownlow and Robert Youngson. Everson would even work with Youngson on some of the director’s 1960 compilation film revivals, such as Laurel and Hardy’s Laughing 20s (1965) and The Golden Age of Comedy (1957). Everson was also an accomplished author. 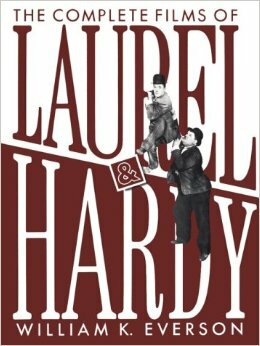 His many books, including Classics of the Horror Film, The Films of Laurel and Hardy and The Art of W.C. Fields, would be an invaluable source of material for young and old, myself included. He would also be published in several magazines, including Variety and Castle of Frankenstein. Thankfully, all of his manuscripts and film screening notes have survived and were donated upon his death to the Tisch School of the Arts at New York University, comprising what is now known as the William K. Everson Collection. Amazingly, portions of this collection are now available online. His incredibly detailed program notes can be read by everyone, indexed by film title, director and country of origin. At a time when long-time film events such as Cinefest are beginning to shut down, it is vital that future generations continue to preserve and respect our cinematic past. Without Everson’s intervention, many films would not be with us today while others would be forgotten in obscurity. 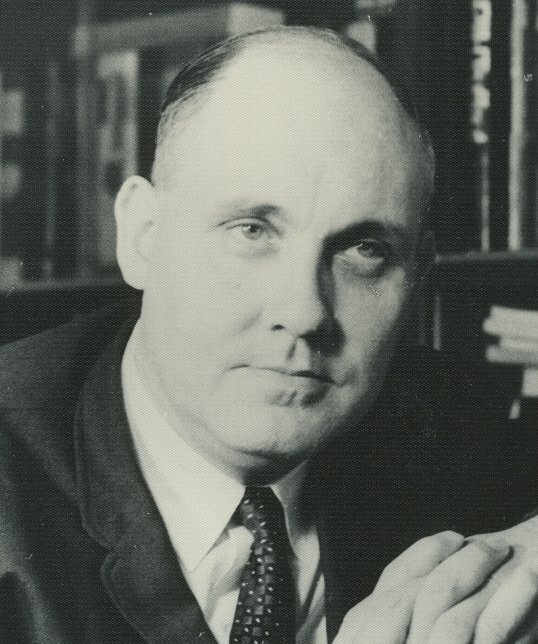 William K. Everson would die of prostate cancer at the age of 67 in 1996. His film collection, consisting of thousands of 16mm and 35mm films (more than 4,000 by the 70s alone), would be turned over to the George Eastman House, preserved for the ages. Go to YouTube to watch part one and two of some interview footage of Everson filmed in 1983. His incredible knowledge will leave you wanting more, so be sure to check out the William K. Everson Archive online, in addition to going to Amazon or eBay to check out some of his amazing literary works. Hopefully, future generations will begin to appreciate his tremendous contribution to the cinematic history. Listening to the recent episode 362 of the B Movie Podcast, Vince Rotolo and Nic Brown mentioned an opening title card in their review of He Who Gets Slapped (1924). 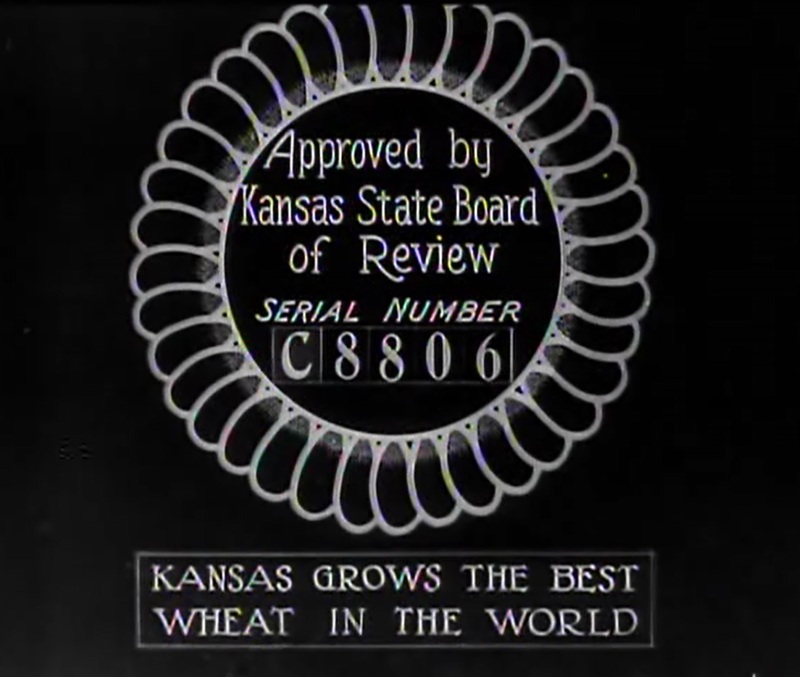 Just after the MGM logo, there was a card that read “Approved by the Kansas State Board of Review”. Being from Kansas, I immediately became intrigued. It didn’t take much research before I found out exactly what this was all about. Censorship my friends, right here in our very own B movie theatre. In the early days of cinema, individuals took it upon themselves to censor the films to protect those with “delicate sensibilities” and uphold the strong moral fiber of our state against the evils of Hollywood. Such censorship was approved by the state legislature in the form of the Kansas State Board of Review. 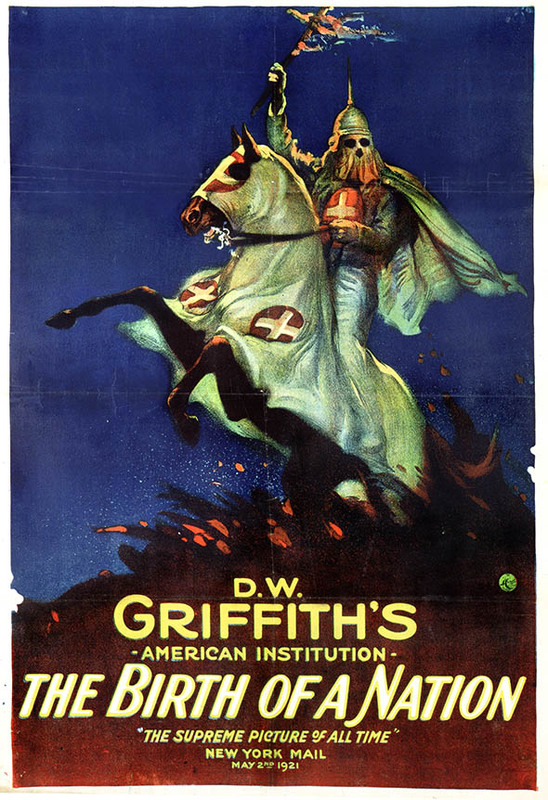 Movie poster advertises ‘The Birth of a Nation’ directed by D.W. Griffith, 1915. Although formed in 1913, it wasn’t until 1915 that state funding was provided, which allowed a small and elite group of concerned citizens to preview and edit all films wishing to be shown in Kansas. Now, other states had similar such groups and they too had legal support. Some people agreed with such acts while others, dare I say the more sensibly minded, opposed such crushing of the freedom of expression. Original board members included the Superintendent of Public Instruction, W.D. Ross, along with the Rev. Festus Foster and Miss Carrie Simpson. They would charge a film company upwards of $1 or more per reel of film, while cartoons and educational films were only charged $.25. Of course, a theater could go ahead and show a film that wasn’t approved but at a cost of $25 to $100 for the first offense and $100 for every day after that. Needless to say, it was smarter to go along with the will of the government. A film company could appeal any such edits made by the board. The official Appeal Board consisted of the state governor, the attorney general and the secretary of state. It is mind boggling that our government officials had nothing better to do with their time. Edits to film would be done by removing titles card or frames of film during the silent era. With sound, they would actually use lacquer over the sound portion of the film strip. 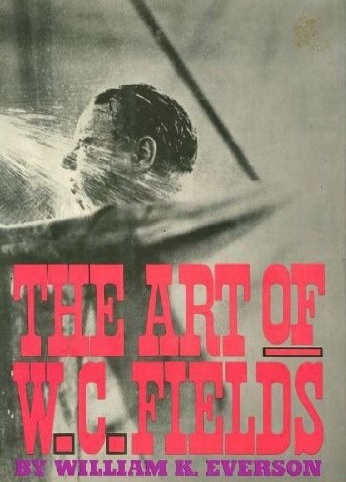 While most film companies were initially willing to subject themselves and their filmmakers to such censorship, some studios would grow weary of the practices over a period of time. 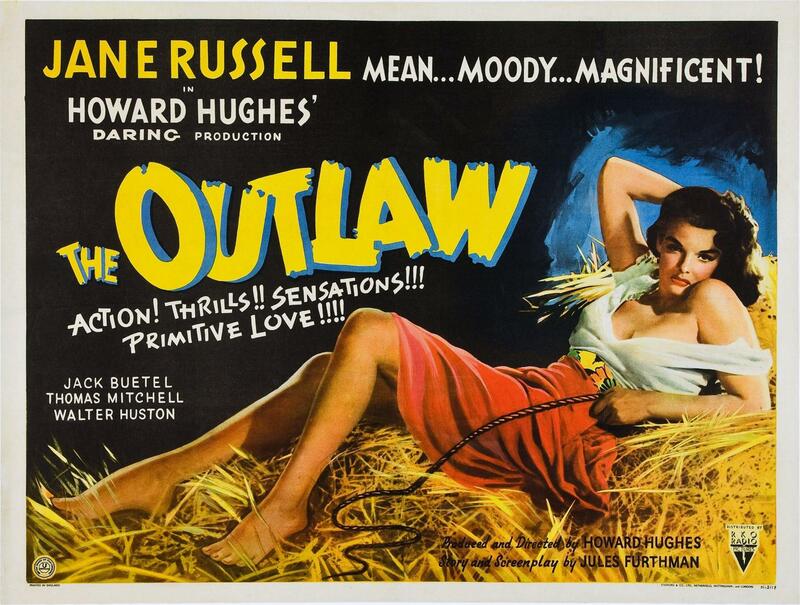 Warner Brothers became the first to protest after The Outlaw (1943) ran into issues. They decided not to show their films in Kansas. Other companies would agree to the censorship and then send an unedited film to the movie theatres. There’s always a way around censorship. The Kansas State Board of Review grew in importance over time, moving into larger buildings and receiving more and more state funding. Of course, being a board member had its perks. You were able to see every movie coming into the state absolutely free. That is where some of the controversies began to appear. Film companies accused board members of showing films to family and friends for free. Many also began to accuse the board of imposing their outdated morals upon a society that was changing. The questionable qualifications of board members over the years would also come unto public scrutiny. There would be various appeals over the years, some of the more noteworthy included Birth of a Nation (1915) and a 1937 newsreel that did not project the correct political side to suit the board. It was other acts such as these that would come into play in 1954 when the United States Supreme Court ruled that states could only censor films for obscenity and not for what may go against their own personal morals. The times were beginning to change and the Kansas State Board of Reviews power was greatly diminished. While an attempt to shut down the board in the early 50s was eventually sidelined, it was only a temporary reprieve. The board limped along for another decade with reduced power. By 1965, Kansas remained one of only two states with a film censorship review board. Columbia Pictures decided to test the waters by not submitting two of their films for review, Bunny Lake is Missing and The Bedford Incident. The Kansas State Board of Review would challenge the act but a local court ruled against them. An attempt to have the Supreme Court rule in their favor failed as well. The Kansas State Board of Review was given sixty days to shut down. In the end, the Kansas State Board of Review surrendered all property back to the State of Kansas, with a little less than $15,000 of its’ remaining funds turned over to the film companies would had been paying for the censorship for decades. The freedom of expression was restored, or at least left to Hollywood to determine what was decent enough for the sensitive constitutions of the film going public. Special thanks to the Kansas Historical Society for making this history public knowledge, along with all of the original film notes. And, if you were wondering, He Who Gets Slapped was controversial in that the film contained smoking and a questionable title card about a woman’s alluring figure. Thank goodness innocent Kansans were spared the shock back in 1924. One of the best feelings in the world is having a new book or magazine to read. Just knowing that you have in your hands stories and information just waiting to be discovered can be fantastic. There are a lot of choices out there, so allow me to make a suggestion and introduce you to my friend, Gunther Dedmund. For nearly a decade now, Gunther has been living in a sublet basement level apartment, broadcasting to the world his own unique smorgasbord of cinematic goodness. 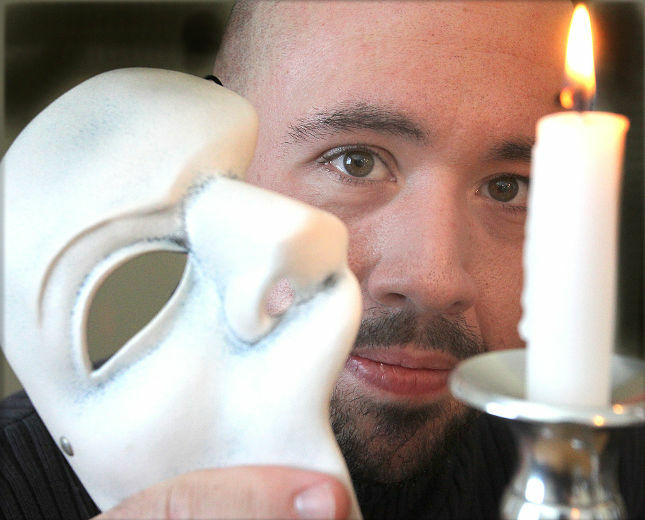 Whether it’s his own edit of a classic like The Killer Shrews or unearthing a gem like Planet of Storms, he’s entertained countless monster kids with The Basement Sublet of Horror. In the last several years, he’s decided to offer up some reading material for us to enjoy in addition to the chills we’ve been given through his movie choices. There are tales to be told of the men and women behind the camera and the adventures they’ve taken to get those classics we love made. Now is the time for us to discover The Basement Sublet of Horror magazine. While you won’t find these on the bookstore shelves just yet, they are yours to enjoy either digitally or in your rotting hands. Gunther has unearthed four issues so far with the help of his friends, including yours truly, the Monster Movie Kid. 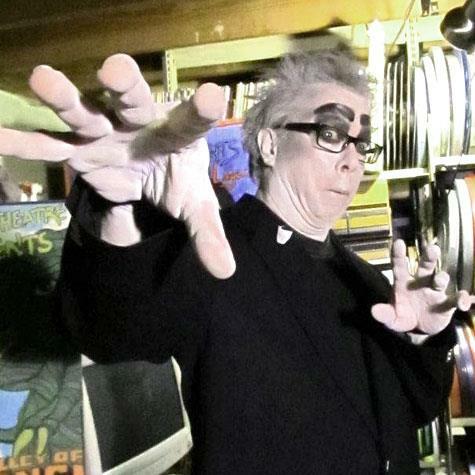 You’ll discover exciting information about Kansas legend Tom Leahy, one of the original horror hosts from the 50s. You’ll learn about UFOs, read about artist Bradley Beard and Kansas host Jim Erickson, as well as get great movie reviews on not-so-classic flicks like King Kung Fu and The Beast from the Beginning of Time. There is so much more just waiting to follow you home. You can add the first four issues of The Basement Sublet of Horror to your personal collection by going to Indy Planet today! There, you can order either a digital ($1.49) or a print-on-demand copy ($5.00). And if you order five or more, you get 25% off! Don’t forget to check out Gunther’s great comic books when you’re there as well. Gunther is hard at work on the upcoming issues. There is a fantastic interview with author and founder of the KU Center for Science Fiction and the Science Fiction Hall of Fame, James Gunn. You can also look forward to an interview with Lance Hayes, the director of King Kung Fu. And, of course, more from the Monster Movie Kid! Meanwhile, be sure to check out the many great movies Gunther has for you on his website as well as searching for “basement sublet of horror” on archive.org. Gunther’s even on Roku! And remember, sharing all of this with your friends is a great way to ensure Gunther stays hidden away in his basement. Otherwise, Gunther may just come knocking at your door looking for food or, worse yet, a new place to stay! I was late coming to the party but once I arrived, it felt like home and I’ve never left. It was full of old haunts, like Dr. Frankenstein and the Creature from the Black Lagoon, amongst countless others. I knew I was amongst friends. No, this isn’t a real place. 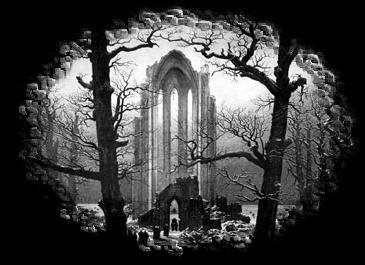 It resides around the corner near the theatre of the mind. I’m talking about Scary Monsters magazine. 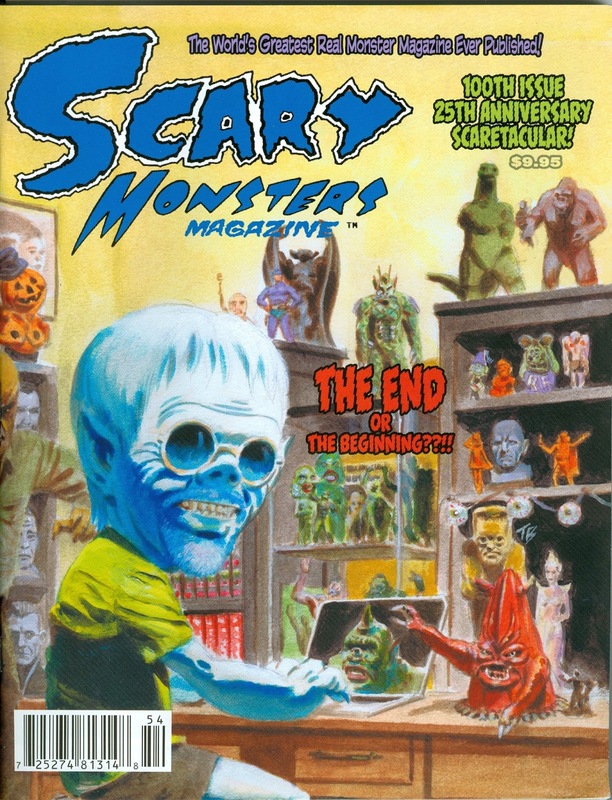 For many years now, I’ve been making the trek to find the latest issue of Scary Monsters. Whether it was at Borders, Barnes and Noble or my local comic book shop, I never missed an issue (well, I am still looking for that Scary Summer Giant Special). To open the pages and feel that newspaper print and to smell the ink, it’s a joy that simply can’t be described. Oh sure, I love the wealth of information available on the internet for us monster kids but for me, you simply can’t beat going old school. I enjoyed each issue I purchased from cover to cover. I have stacks of this great magazine to peruse anytime I want. 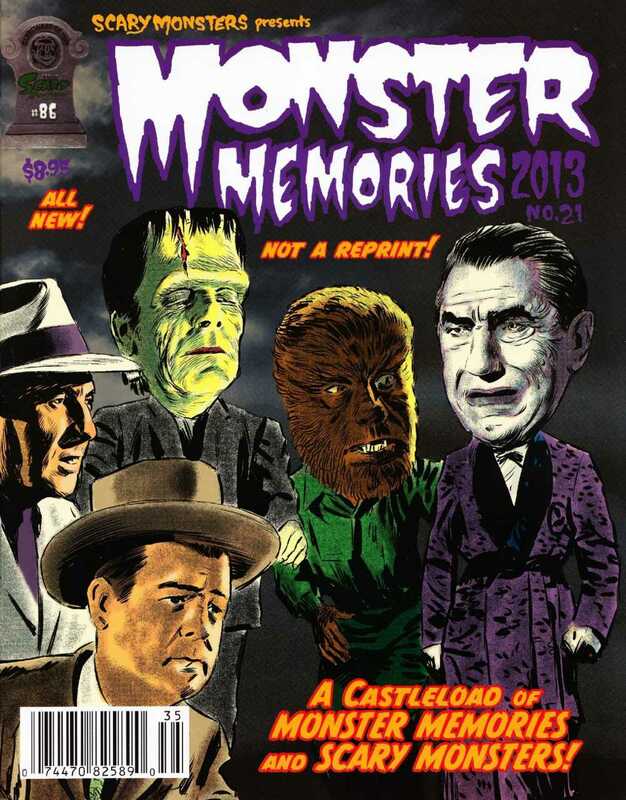 You just can’t beat a great monster magazine. In the most recent 100th issue, publisher and editor-in-chief Dennis J. Druktenis has announced that’s he stepping down and turning over the magazine to the next generation. Some have said that he owed it to us to continue and, quite frankly, that upset me. And after I recently read his last letter to us, I really felt inspired to share my thoughts. First and foremost, Dennis owes us nothing. In fact, we owe him. Because of substantial distribution woes beyond his control, Dennis had to sacrifice part of his monster collection to ensure Scary Monsters didn’t die. He could have walked away, financially more secure, but he didn’t. That’s not even taking into account the long hours he dedicated for 25 years in making sure the next issue went out on time, the best it could be. He has more than earned the rest he has waiting for him. He worked diligently to complete issue 100 and plans a farewell convention tour through this summer. Beyond that, the future of Scary Monsters is now in the hands of a new team. Thank you Dennis for the years of enjoyment I’ve received reading Scary Monsters. The entertainment you’ve given the monster community will never truly be measured accurately. Suffice to say, you’ve more than earned your spot amongst the literary horror legends. Go out and buy a copy of Scary Monsters #100 today! And continue to support Dennis with all of the wonderful items available in the back pages and on the website. Then, wait patiently with Dennis and the rest of us monster kids to see what the future holds. Until then, I think we all have plenty to read and read again. Get your silver bullets ready as the werewolves are on still on the hunt. 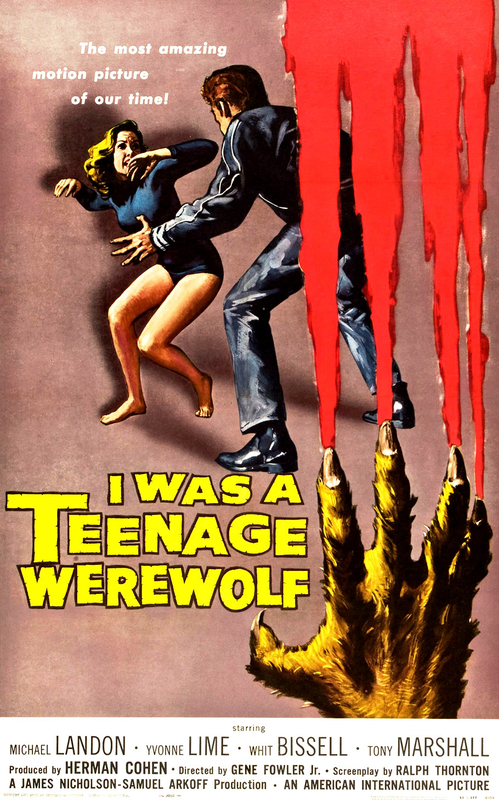 This week in episode 443 of the Dread Media podcast, I take a look at I Was A Teenage Werewolf (1957). Watch this rare flick on YouTube. It may not be the best version available but it will keep you busy while you try to find the DVD. You can flash forward to the 1:06:05 mark for my review. Next week, I wrap up Feral February with Face of the Screaming Werewolf (1964)! 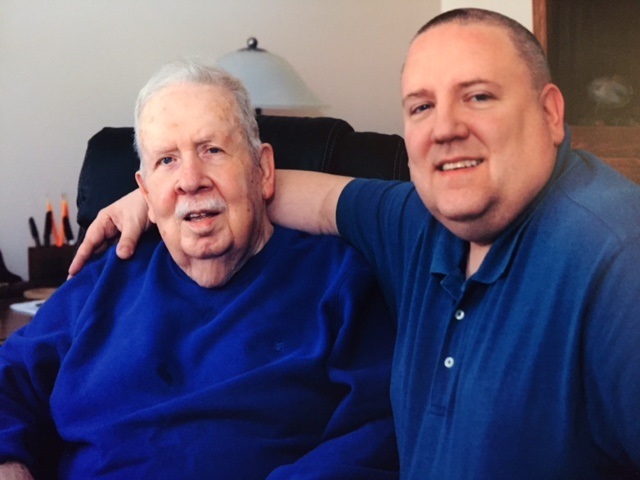 On February 17, 2016, my dad passed away at the age of 84. If you’ve been following this blog or listened to my voicemails on such podcasts as Dread Media, Paleo Cinema or the B Movie Cast, then you’ve heard me talk about him. Many people who knew him would never have expected him to be a monster kid or a Trekkie like the rest of us. But he was and I wish to honor his memory and his amazing life. My dad grew up as an only child and his parents divorced at a young age. He was often alone, so it is no surprise that when faced with the possibility of a French boarding school as his parents were headed to work on the oil pipelines in Saudi Arabia, he chose to run away from home at the age of 16. 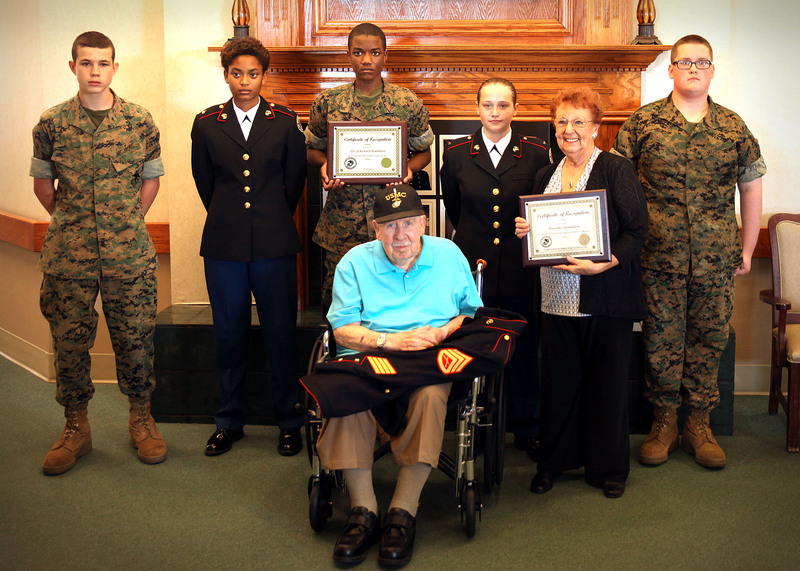 He falsified his date of birth and joined the United States Marine Corp. Even though his mother caught up with him, he was allowed to stay in as long as he stayed out of trouble. It was a different era to be sure. This was the start of a twenty year career that saw my dad earn the rank of 1st Lieutenant, serving in the Korean and Vietnam wars, as well as Operation Greenhouse. Reading my dad’s diary as he described atomic bomb tests and being trailed by a Russian submarine has helped bring to light the first phase of his life that I never really knew. It has been fascinating discovering this part of his life. When I was born in 1967, he began his second career in the Chamber of Commerce. First in Missouri, then Kansas and finally Texas, my dad went from serving his country to serving his community. This was the dad I knew. He was home every night for dinner, would take my mom and I on business trips/vacations and, above all else, he was always there for me. He was a big kid who loved train sets and playing Hot Wheels, never afraid to get on the floor and embrace his inner child. No matter how tired he may have been, he never turned down the chance to play. His third career led my dad to become a Deacon in the Catholic Church. He and my mom are responsible for saving Our Lady of Guadalupe Church in Dewey, OK. He grew attached to that small little town just north of their home in Bartlesville, OK, a place that was home to the Tom Mix Museum, where my dad and I visited several times, watching My Pal, The King (1933) in the little theater. Dad always loved a good western. 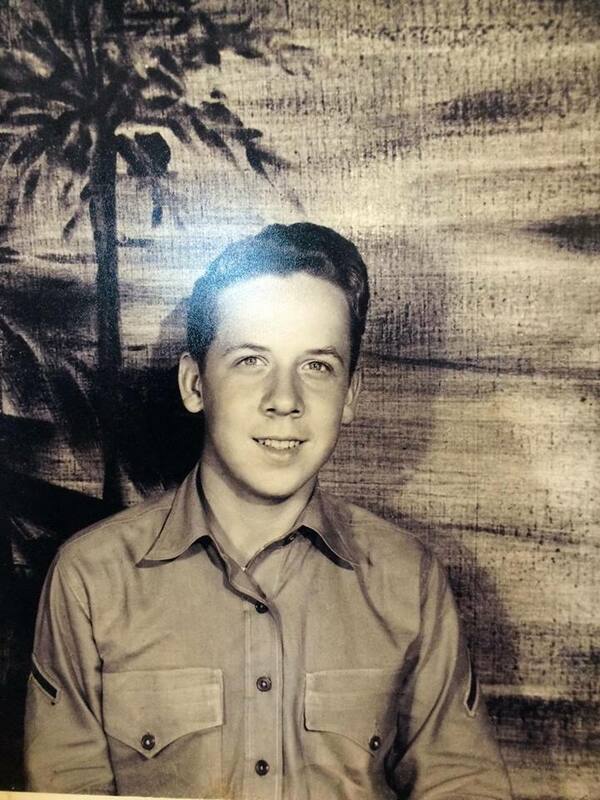 Growing up, I have so many fond memories of my dad. We would watch Flash Gordon serials, Hopalong Cassidy and The Abbott and Costello Show on Sunday mornings. It was my dad who introduced me to chess and old time radio. Saturday nights are when my dad embraced his inner monster kid as we watched Creature Feature with Crematia Mortem. And yes, my dad was a Trekkie. He saw every episode of Star Trek with me numerous times, the first five films and yes, he even attended conventions. My dad attended Trek Expo in Tulsa, Oklahoma a total of six times, four of which were in 2009-2012. That final year in 2012, my dad was an amazing 80 years old. He was there when I met William Shatner, Leonard Nimoy, Frank Gorshin, Anne Francis and many others. It was a yearly event for us and the highlight of our year. My dad and I went to the last two Star Trek movies together. In fact, Star Trek Into Darkness was his last movie in a theater. But his love for movies continued until last year as he was always watching Turner Classic Movies, calling to let me know when something cool was on. I can’t tell you how much I miss those random phone calls. And something will surely be missing this summer when I go to Star Trek Beyond without him. 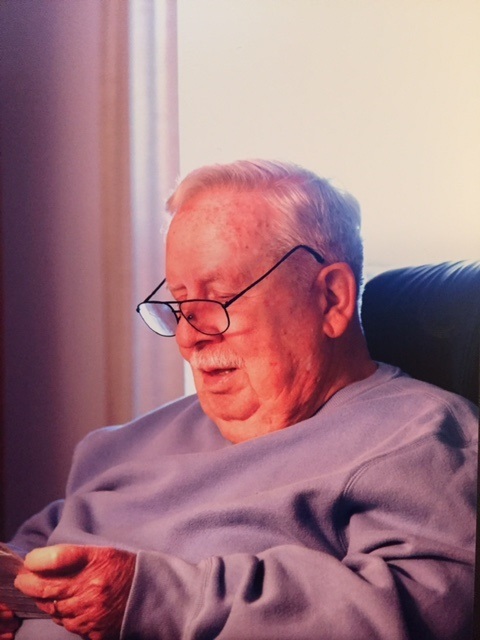 While I miss my dad terribly, he is at peace now after a long bout with Lewey Body Dementia. My sister and I were with him at the very end. My heart hurts as my fellow Trekkie and monster kid is gone but I smile in knowing that he will always be with us in spirit. Live long and prosper Dad. I love you. Sometime in 2006, my wife gave me my first iPod. She thought it would be something cool for all of my music. Little did either of us know how vital it would become to my daily life. Once I discovered a little thing called a podcast, my entire world suddenly became global. I could virtually connect with likeminded fans of horror and sci-fi. And one of the first podcasts I listened to was Horror Etc. Over the years, the number of podcasts I listened to has fluctuated. Some shows only lasted a few weeks on my rotation while others set me on course for the duration. Horror Etc. was just such a show. I enjoyed how Tony, Ted and sometimes Doug discussed films I loved and some I hated. Best of all, they introduced me to countless flicks I never would have known about or given a chance. Their styles were often in dark contrast to each other. Ted was the cynical guy in the bunch, sometimes hard to please but fair with his personal judgment. Well, perhaps not when it came to Doctor Who but I’ll let that slide. Tony would become better known to us all as Anthony D.P. Mann, gradually moving away from the podcast mic and behind the camera as his film career continued to grow. With each film, he continued to follow his dreams. After 376 episodes and several specials, the news many of us feared was coming has been made official as Anthony announced that the podcast is indeed done. I’m sure many would agree with me as I hoped there would be a farewell episode. That said, I wholeheartedly understand that nasty thing called “real life” has a way of popping up. And I certainly don’t think we are owed anything. Rather, we owe them for the hours of entertainment over the last eight years. Let me express my special thanks to the Horror Etc. podcast gang for all of the wonderful and amazing episodes you’ve left us. It is because of shows like yours that I was inspired to launch this fun little blog back in 2012 and why I now have a weekly feature on the Dread Media podcast. So, simply but honestly put, thank you very much. As Anthony is sure to know, we’ll all continue to follow his career as it continues. And wherever Kingstown Ted and sometimes Doug may be, I hope they both know how much we appreciate everything they both did as well. Long live the Horror Etc. podcast!